Ed's Body Shop is a family owned and operated business that has been providing quality body work and 24 hour towing services to the South Jersey Area since 1952. Call Ed's for all your Automotive Body Repairs, Paint, Towing, Recovery and Landoll Service needs. 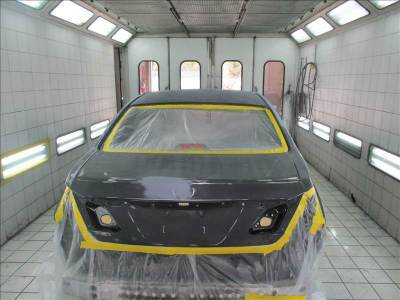 Our shop is equipped with 3 auto paint booths. We use high quality paints and materials that come from a long time supplier, Till Paints. ​ All paint jobs are baked to ensure proper curing and an amazing finish that you are sure to be happy with. 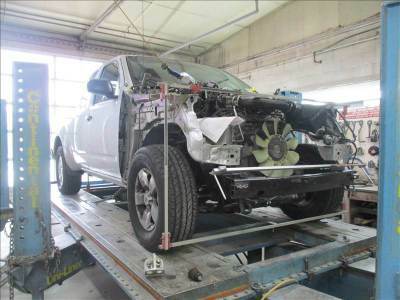 Ed's Body Shop has the frame machines, measuring equipment and staff to tackle any automotive body repair. Our experience and dedication to quality ensures every job meets the customers expectations. We are fully equipped to provide all of your vehicle transportation needs 24 hours a day. We have flatbeds as well as heavy duty wreckers to provide all of your light to heavy duty towing. Vehicle and equipment recovery,accident, and roll over are all services we provide.